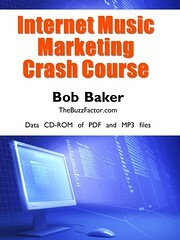 Bob Baker's Indie Music Promotion Blog: Do You Use a Marketing Match or a Flamethrower? 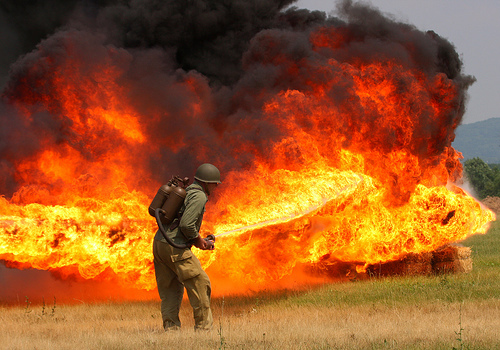 Do You Use a Marketing Match or a Flamethrower? When it comes to promoting music, most musicians lean toward the flamethrower approach. They think, "Let's hit the scene with all guns blazing" or "We'll set this town on fire" or simply "Let's launch a big marketing push for the new album (or event, website, etc)." If this describes you, here's a word of warning! Don't get me wrong. I'm not saying this flamethrower-type tactic doesn't have it's place. In certain instances, it makes sense to do something extra to create excitement. But relying only on the flamethrower to set your music career on fire is a weak long-term strategy. What's far better and most effective is a consistent use of matches. Every week, month after month, year after year, you light a match to set a small fire in a specific place for a particular audience. Imagine you have 10 candles in a room that you want to light. Using a flamethrower, you could definitely light all 10 candles. You'd also scorch the walls, the furniture, the drapes, and more. There would be a lot of wasted energy expended on the wrong things. With a match, you target exactly the outcome you want in a more economical and fruitful way. You reach your objective without melting the candles or leaving a big mess behind. So, how do you want to market you music? With a match ... or a flamethrower? Are you confused about Internet promotion? Not sure where to start? You'll have a clear vision and a solid game plan once you digest this amazing collection of resources. Great post! I agree, it's better to attack targeted area's consistently when you are marketing or promoting. Thanks Bob its great job I really like your site.